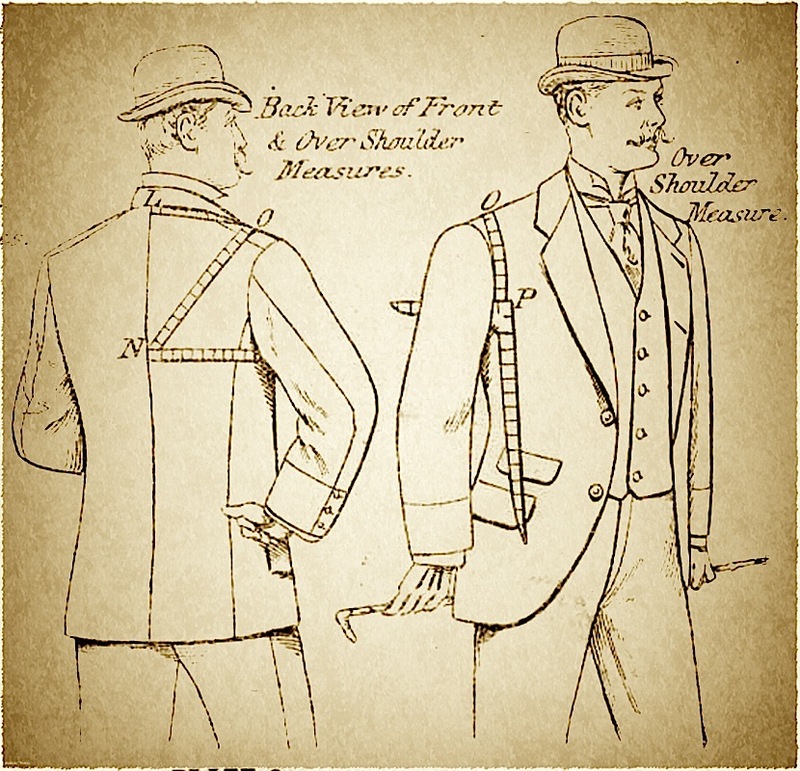 The following is a guide on how to take the measurements required for jacket fitting. 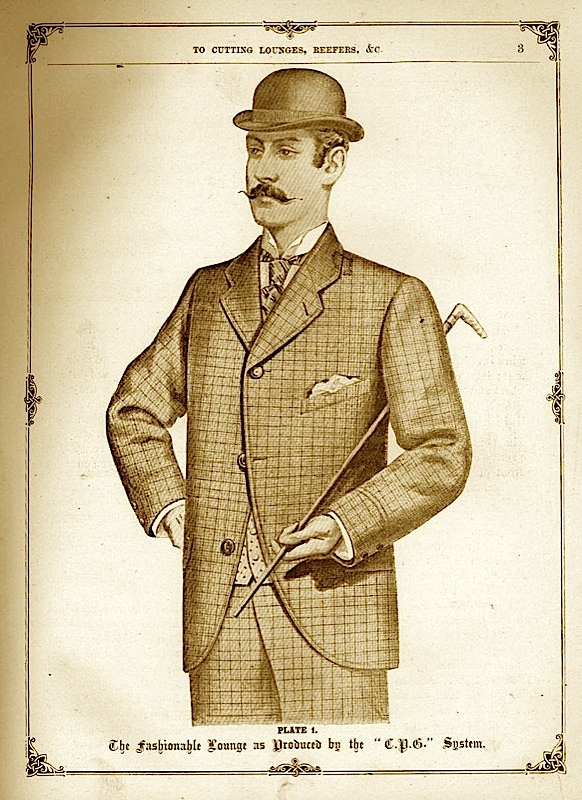 They are taken from the Cutters Guide To Lounge Jackets and are designed to help me create a block from which I can cut your jacket. 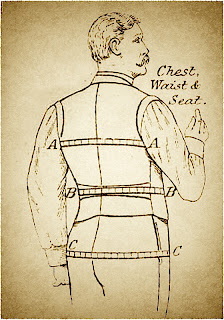 The first measurements to take are your Chest, Waist and Seat. 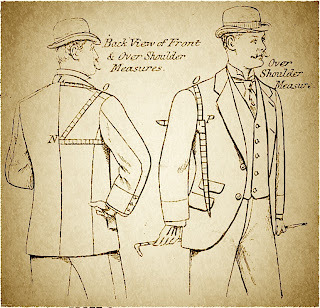 These should be the full circumference of your body. 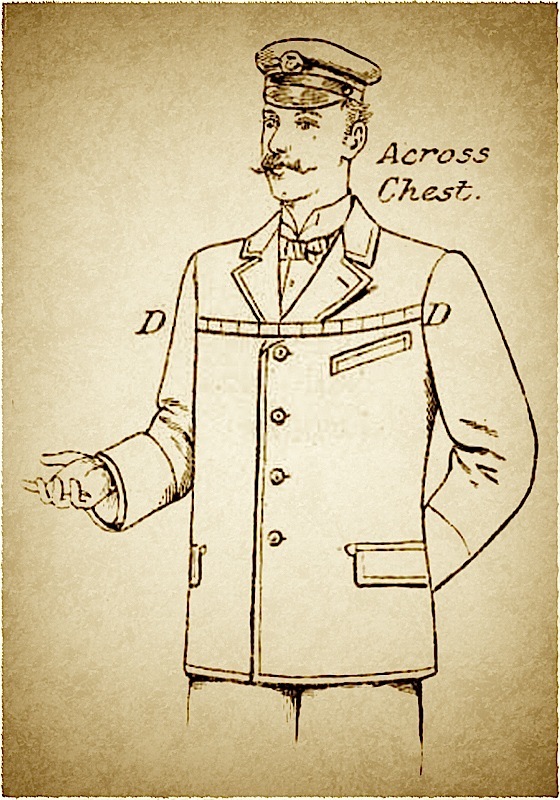 Chest (A) should be taken just under the arms (full circumference). 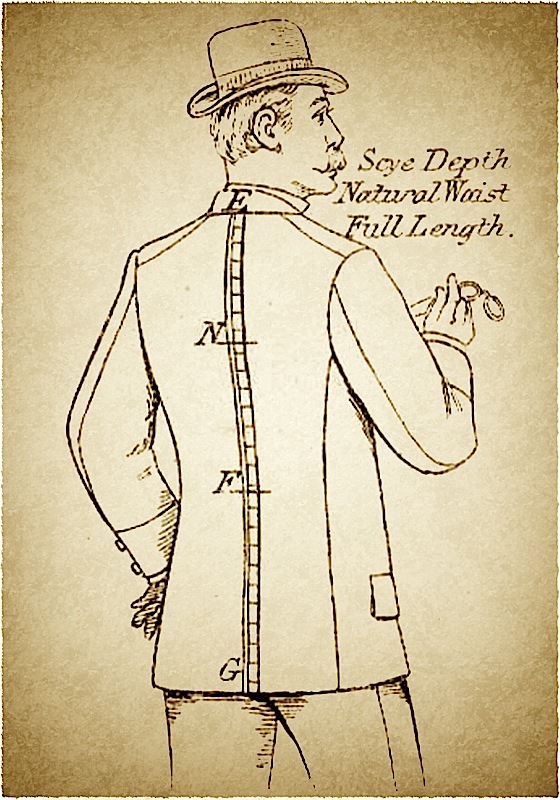 Waist (B) should be taken at the belt level of a well fitting trousers (full circumference). 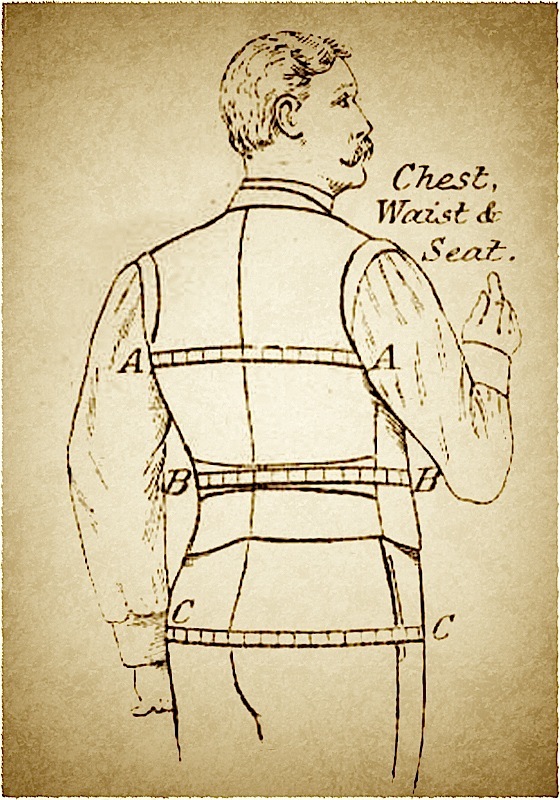 Seat (C) should be taken at the widest part of your pelvis (full circumference). 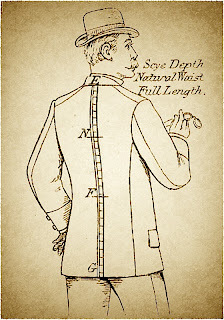 Full Length (E to G) should be measured to the required level of the jacket hem. 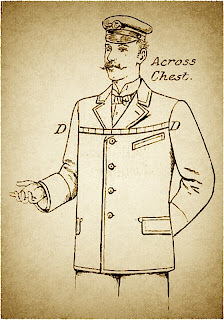 This will vary depending on the garment you are ordering. 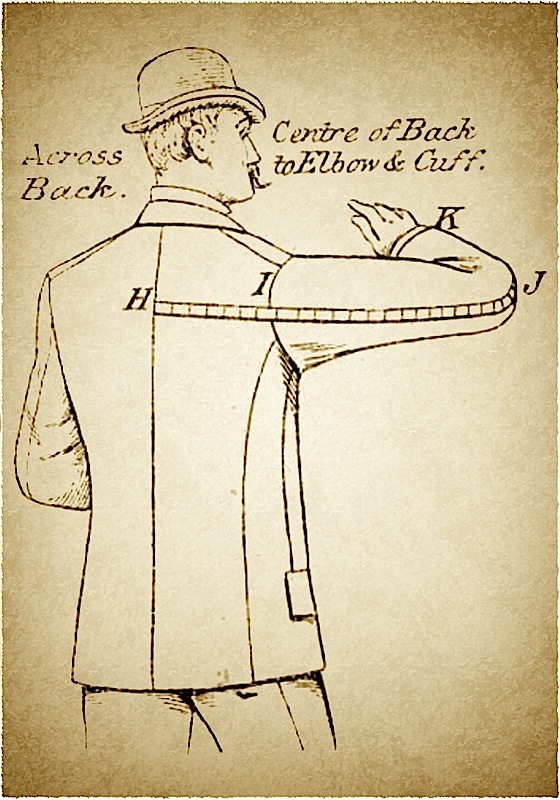 Shoulder to Cuff as a backup measurement, please measure with your arm vertically by your side from the top of your arm (where a sleeve would meet the shoulder of a jacket) down to your desired cuff length. 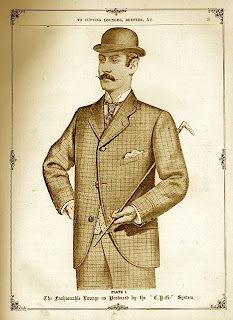 Things get a little complicated now, so bear with me! 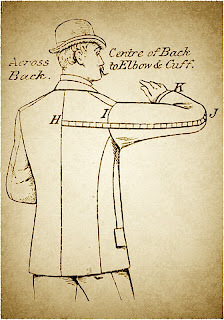 Over Shoulder to Shoulder Apex (L to O) and Over Shoulder to Under Arm (L to P) is taken diagonally across the shoulder, starting from the nape of the neck (L) to level with the lowest point of the armhole (P).